Aside from high contrast bright and cartoony visuals the game has some great new additions. It is one of the most challenging 4x turn based strategy games out there with deep, complex and fun gameplay experience. 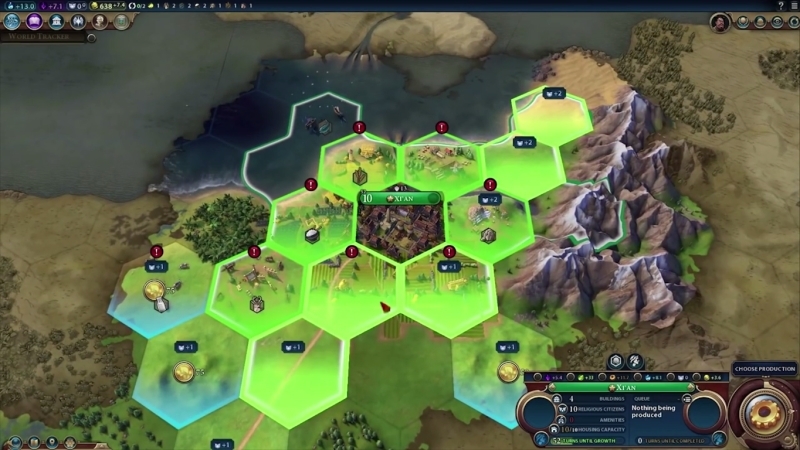 Civilization VI is the latest 4x turn-based strategy video game from Firaxis Games. The game released just couple of days ago on 21st October, 2016 for PC. 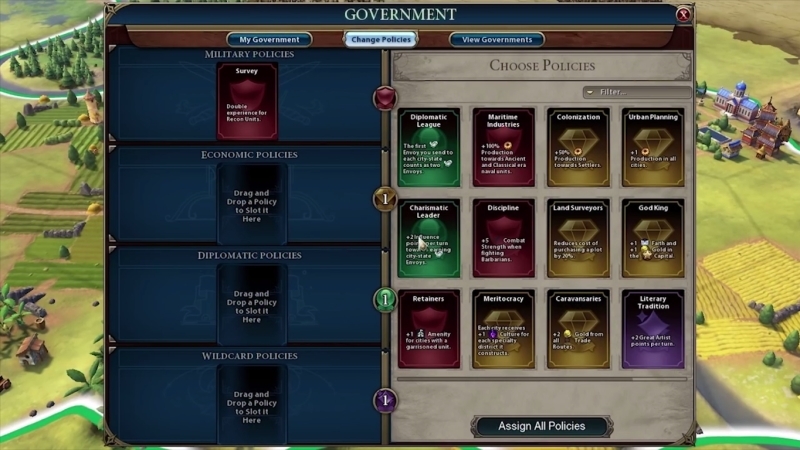 We all know that Sid Meier’s Civilization games follow a strict 33% rule where you will get 33% new and fresh content, 33% improvements and 33% retained elements from the previous games. 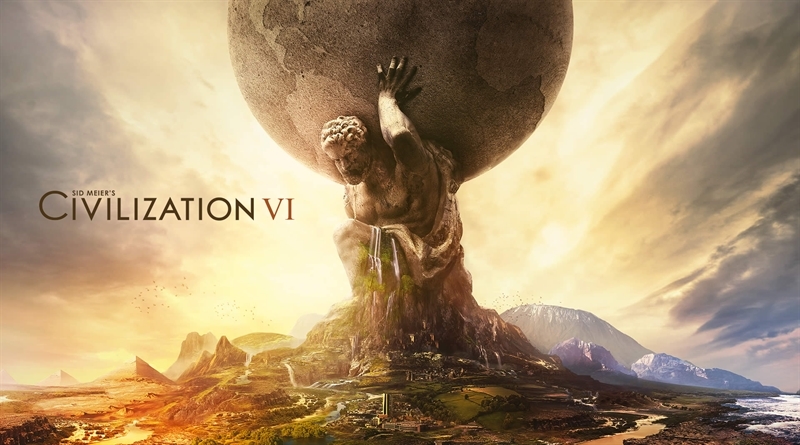 Today FunkyVideoGames, in Sid Meier’s Civilization VI Review we provide you some insight on gameplay, first impression and other similar stuff for Civilization VI. The Civilization games are difficult games to at least initially give a formal review on, seeing how these game develop on you over time. For instance, a lot of reviewers enjoyed Civilization V. But after a year when everything was explored, its shortcomings were way more apparent. 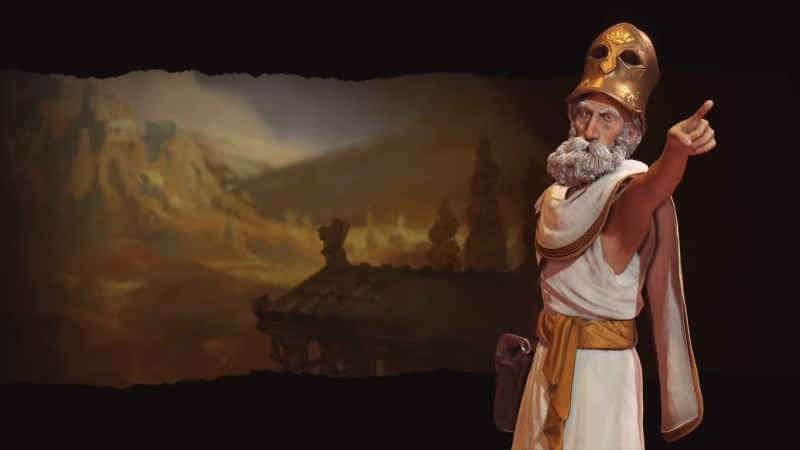 The first thing that I can say about Civilization VI though is that it feels very different and better than Civilization V. One of the most apparent things, and I feel they spent a lot more time on, is that each civilization and a leader has a much larger pool f unique attributes and special abilities to go on. And this really shows in the AI and lands that you coexisting with. Actually coexisting seems easier than ever because there’s just so much more for a country to achieve and work towards that. And sometimes, paths just don’t happen to cross much and there’s peace. But not always, the added depth for leaders is great because each nation operates with some sort of actual real personality. You can actually feels the difference, for example, Teddy Roosevelt of United States is very aggressive and Queen Victoria from England embraces using spy. Right of the bat as soon as you start dealing with bigger nation and city states, clearly you feel a difference here. There’s just a lot more going on. Personally for me, the new systems are like surface value but I really like how the districts are now. The main base of your city will occupy on tile but when you build on top of that now cities don’t stack. Now you choose districts and surrounding tiles to build out your cities and add new areas and get more attributes. It sounds simple enough but it gets really complex from an actual city planning aspects something that Civilization never had before. I really like piloting out where I’m going to put my districts in the future and where I’m going to establish my city. And even when you add an upgrade to these districts to see them grow and things pop up within those actual districts is awesome. That’s where the system can get a little intricate, for instance, if you need more trade routes you have to build a new market in its corresponding district. And you can actually see corresponding buildings pop up for similar activities. It also make building wonders feel like a huge accomplishment because it take up an entire tile. And it takes a long time for them to develop and when you do, you will get a grand cutscene of it being constructed. In terms of major interface, it doesn’t feel like too much is added but that’s basically what’s going on here as there’s much more info available at a glance and through hovering. And while there are much more systems now, there are technically more pages and windows to look at, I feel much less like I’m actually diving deep into menu. It feels less clicking to get into something. I’m just running down and running through things that they have changed and added. But it is also some of the aspects I like about the game and that’s the best way to talk about a new Civilization game. Trade routes are now established roads and that works pretty easy and you don’t have to put a lot of thought into it. Also workers are now Builders, they are expendable units. You will get three of these builders and each one can build one thing. So, it really takes a little while to figure out how you are going to create a unit of builders and utilize it to your advantage. Do you spend one on a farm and then upgrade that farm or do you move them onto something else. I personally prefer more micro management, in previous games I didn’t really micro manage my workers. But now with the builder system, I find my self doing micro management much more. It is also worth noting that research has been improved a lot more for the best. Arts, ideology and stuff like that have an actual Civic tree and then traditional technology has a technology tree. This stuff also gives way to the new government system that you can choose and develop systems within. It gets much deeper with even more attributes and perks for each one. You can embrace Feudalism, classical republic, oligarchy and other similar systems. But I think the big thing that’s going to answer a lot of people’s questions is that this active research stuff does make the mid game feel much less boring. The mid game in Civilization games is notoriously kind of like a low. And I think the way these features are and the active research definitely help with a lot. It’s there so there will always be a suspense and important decisions to make. There’s also a spy system that I mentioned earlier. It’s really cool and it does work best with England. And it makes it easier to win a cultural victory in end game if that’s something you are going for or if that’s your playstyle. The Envoy system also makes alliances much deeper than just buying your way into an allegiance. There’s meta stuff within that like earning like earning status to earn even more bonuses. All this make the Envoy system much more fun and like a mini game. And as there is so much going on, of course, you can go on a war path and still kill everyone. But don’t expect fall back on military, it is always boring, at least for me. But now for all these systems there’s always so much more going on. And this time Civilization VI really emphasize victory in variety of different ways. So far after very long play-throughs that’s what I have enjoyed the most. I’m liking the game a lot but there is a big shortcoming. I think for some people it will dominate the conversation and that is the visuals. 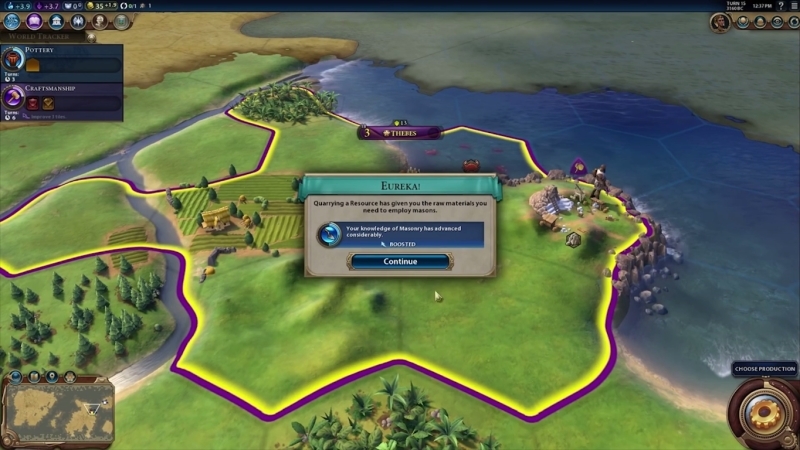 People are criticizing the Civilization VI’s visuals since the beginning. I really never taught it was warranted but now after spending a lot of time with it, I get it. When the game is in motion and in action and if you look close the graphics are good. Visually the game does look good. It’s just the art style that they embraced that some people are not fan of. I think a lot of people might not just jive with it. It’s very bright and high contrast. It’s very colorful and it looks cartoony. It looks like a cheaper smaller game and that’s really going to be a turn off for some people. But what I do at least like is the look of the map and it’s surrounding areas. Now it looks sketched out old map instead of a fog of war. That I enjoyed a lot, it’s very different and it gives the game a different look. Some people think, it cheapens the look but I enjoyed it. But overall the visuals don’t give me the satisfaction. But, thankfully, the detail within the city districts make up for that. Performance wise on my end, I have’t encountered any issues. I’m running on Nvidia 1080 and the game looks smooth and awesome. Sid Meier’s Civilization VI Review – Should You Buy? So guys that’s Sid Meier’s Civilization VI Review for you, you know how these reviews go. I provide you some straight up first impressions, gameplay and other insights for newly released games with my personal opinion thrown in there. Overall I think it’s really a great game, Civ fans should play this game. Well, the surface value doesn’t look like much has changed besides the visuals which I admit aren’t that hot. The amount of actual additions of the system that makes this game is an exciting thing to jump into. 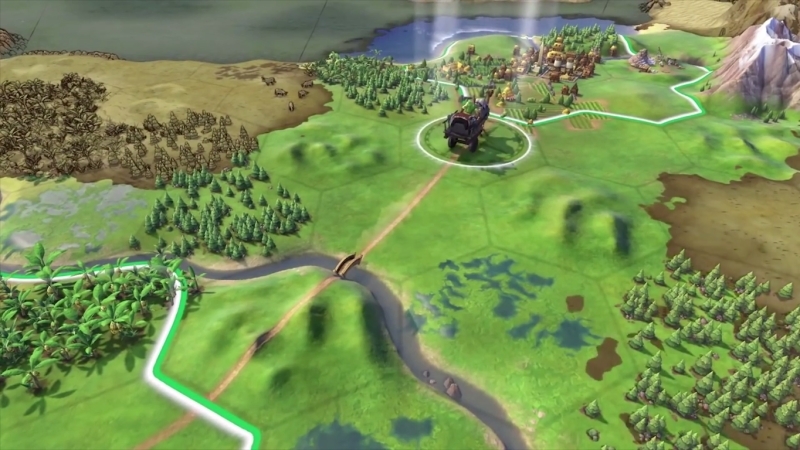 I’m really curious what you guys think of Civilization VI. Are you die hard Civ fan? Have you been playing Sid Meier’s Civilization VI? What you think about it? Please feel free to tell us in the comments below.